The editorial board of the Canadian Journal of Dental Hygiene/Journal canadien de l’hygiène dentaire consists of researchers, clinicians, and educators with internationally recognized expertise in dental hygiene, oral health, and related fields. Members of the board provide important scholarly input and oversight, enhancing the journal's reputation as a trusted source of high-quality scientific information. 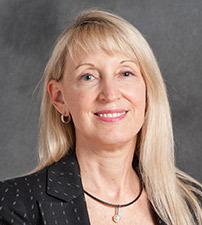 Salme Lavigne, PhD, RDH, was appointed scientific editor of the journal, effective December 1, 2015. 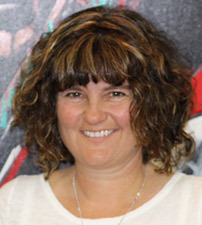 She holds a diploma in dental hygiene from the University of Toronto, a bachelor’s degree in biomedical anthropology from Lakehead University, a master’s degree in dental hygiene education from the University of Missouri-Kansas City, and a doctorate in community health sciences from the University of Manitoba. Salme was the founding director of the dental hygiene program at Confederation College, Thunder Bay, and served as director of the School of Dental Hygiene, University of Manitoba, for 13 years where she developed and initiated the first BScDH program at that institution. An internationally recognized researcher and educator, Salme has received Alumni of Distinction awards from the University of Toronto and the UMKC School of Dentistry, and a Life Membership Award from the Canadian Dental Hygienists Association. 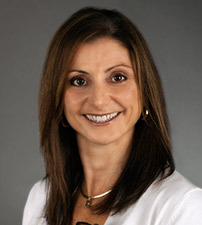 Joanna Asadoorian, PhD, RDH, graduated from the dental hygiene program at Erie Community College in New York State in 1990 and went on to complete a BScD(DH) and MSc from the University of Toronto, and a PhD from the University of Manitoba in the field of knowledge translation. Her research focuses on continuing learning and competency strategies for health care practitioners, and she also has an interest in oral health care products and practices, with a particular concentration in therapeutic rinses. Appointed to the editorial board in February 2016, Joanna is currently program director for the Canadian Foundation for Dental Hygiene Research and Education and an educator and researcher with several academic institutions and industry partners. Arlynn Brodie, BPE, MHS, RDH, has been a practising dental hygienist for 28 years, and was appointed to the editorial board in 2014. She holds a diploma in dental hygiene from the University of Alberta, a bachelor’s degree in education from the University of British Columbia, a diploma in public sector management from the University of Victoria, and a Master of Health Studies from Athabasca University. Currently, Arlynn is pursuing a PhD in the Faculty of Rehabilitation Medicine at the University of Alberta. On faculty at the University of Alberta’s School of Dental Hygiene since 2012, Arlynn also sits on the Commission on Dental Accreditation of Canada (CDAC) Health Facilities and Dental Residency Committee, is an exam writer and reviewer for the National Dental Hygiene Certification Board (NDHCB), and is vice president of the College of Registered Dental Hygienists of Alberta. 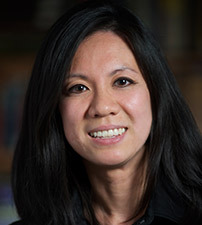 Ava Chow, PhD, RDH, completed a BSc at McGill University, a MSc at the University of Ottawa, and did her dental hygiene training and completed a PhD at the University of Alberta. 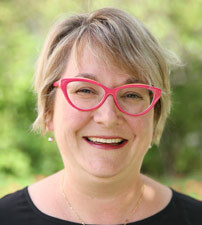 As tenure-track faculty at the University of Alberta, she is heavily involved in teaching the foundational sciences to both dentistry and dental hygiene students. Her current research explores the involvement of the caveolin proteins in a number of cell processes, including cell death, extracellular matrix degradation and P. gingivalis evasion of the host immune response. Though Ava’s training is in the basic biomedical sciences, her joining the editorial board in 2014 has enabled her to remain current and involved in the work being done in the dental hygiene community in various research pillars. 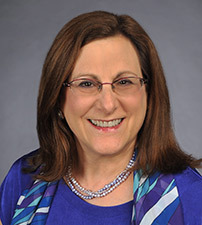 Jane L Forrest, EdD, RDH, is the director of the National Center for Dental Hygiene Research & Practice in the United States and professor of clinical dentistry and section chair, behavioural science, at the Ostrow School of Dentistry, University of Southern California. 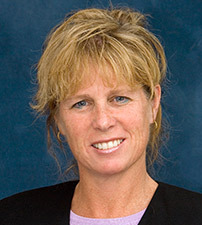 Her research and teaching focus on evidence-based decision making in dental and dental hygiene practice. She is a founding member and past president of the Oral Health Research Group of the International Association for Dental Research, and one of the first recipients of the ADHA/Warner Lambert Award for Professional Excellence in Dental Hygiene. She was appointed to the editorial board in February 2016. JoAnn Gurenlian, PhD, RDH, appointed to the editorial board in February 2016, is professor and graduate program director of the Department of Dental Hygiene, Idaho State University. She is the president of the International Federation of Dental Hygienists and past president of the American Dental Hygienists’ Association. JoAnn maintains a column entitled “Looking Ahead” in RDH Magazine, and is the co-author of a textbook, Preventing Medical Emergencies. 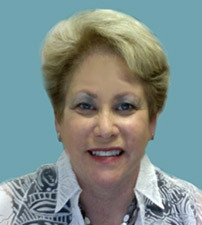 She has been active in dental hygiene for over 35 years as a leader, educator, clinician, administrator, and researcher. Harold A Henson, PhD, RDH, is an associate professor in the Department of Periodontics and Dental Hygiene and director for the Center of Teaching and Learning at The University of Texas School of Dentistry at Houston. He has taught all levels of dental education: postgraduate, graduate, and undergraduate. Harold has held numerous leadership positions at the national, state, and local dental hygiene levels. 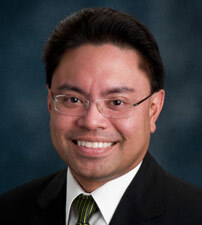 His research interests are in teaching and learning and faculty development. 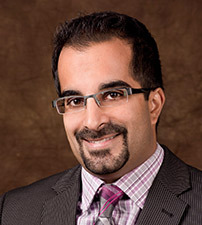 Zul Kanji, MSc, RDH, is the director of the dental hygiene degree program in the Faculty of Dentistry, University of British Columbia, and was appointed to the editorial board in 2012. He has been involved in academia for ten years and teaches courses on professionalism, ethics, evidence-based practice, and academic writing. He is currently enrolled in Simon Fraser University’s Doctor of Educational Leadership in Post-Secondary Contexts program and is researching student retention in higher education. His desire to be part of the CJDH editorial board stems from his passion to advocate for dental hygiene research and to increase the profession's awareness of and proficiency for qualitative inquiry. Denise Laronde, PhD, RDH, is assistant professor in the Oral Biological and Medical Sciences Department, Faculty of Dentistry, University of British Columbia, and was appointed to the editorial board in 2012. She earned her BA (Psychology) and MSc (Dental Science) from UBC, her DipDH from Vancouver Community College, and her PhD (Biomedical Physiology and Kinesiology) from Simon Fraser University. As a member of the BC Oral Cancer Prevention Program, Denise’s research interests include oral cancer screening, adjunctive screening devices, and head and neck cancer survivorship. She has presented her findings at cancer and dental conferences across North America. Christina Lengyel, PhD, RD, is an associate professor, a registered dietitian, and the director of the Dietetics Program in the Department of Food and Human Nutritional Sciences, Faculty of Agricultural and Food Sciences, University of Manitoba. Christina’s current research focuses on nutrition and health-related issues of baby boomers and older adults residing in both rural and urban areas. She is a co-principal investigator and the Manitoba lead on the Making the Most of Mealtimes (M3) study, and a co-investigator and nutrition lead for the Manitoba Follow-up study. Christina is a research affiliate of the University of Manitoba’s Centre on Aging and Riverview Health Centre. She also serves on the editorial board of the Journal of Nutrition in Gerontology and Geriatrics. 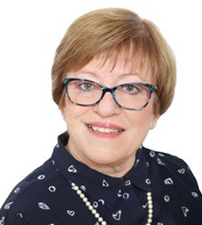 Jocelyne Long, BSc, BDH, MA, was on faculty at John Abbott College (Montreal) for 38 years, serving as dental hygiene program chair from 1983 until her retirement in 2017. She holds a bachelor’s degree in science (biology) from the University of New Brunswick, a bachelor’s degree in dental hygiene (minor in education) from Université de Montréal, and a master’s degree in educational studies from Concordia University. Currently, Jocelyne serves on the admissions committee of the Ordre des hygiénistes dentaires du Québec (OHDQ), helping to assess requests for licensure and re-licensure from dental hygienists and dentists. 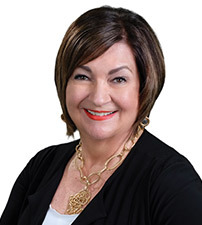 She was previously a member of the National Dental Hygiene Certification Board exam committee and French focus group, the Commission on Dental Accreditation of Canada survey team, and the OHDQ board of directors and executive committee. In 2004, Jocelyne received the “Mérite du Conseil Interprofessionnel du Québec” for her contributions to the dental hygiene profession. She was appointed to the editorial board in May 2018. Rae McFarlane, MEd, RDH, appointed as book review editor for the journal in January 2014, graduated from St. Clair College in Windsor, Ontario, before earning a bachelor’s degree in dental hygiene from the University of Toronto and a Master of Education (Distance Education) from Athabasca University. Rae has worked in general practice, orthodontics and periodontics, and currently practises as a dental hygienist supervisor in community health for Interior Health Authority in Cranbrook, British Columbia. 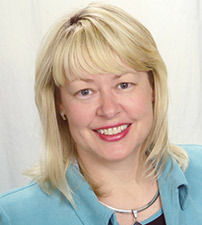 She also instructs several online courses for both entry-to-practice and degree completion students in the dental hygiene degree program at the University of British Columbia, and serves on the board of the College of Dental Hygienists of British Columbia where she is a member of the inquiry committee. Ann Eshenaur Spolarich, PhD, RDH, is an internationally recognized author and speaker on pharmacology and the care of medically complex patients. 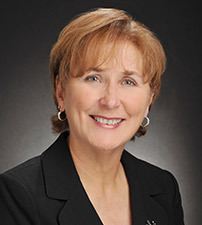 She has presented more than 850 lectures, has over 100 professional publications, and serves as associate director of the National Center for Dental Hygiene Research & Practice. She is professor and course director of clinical medicine and pharmacology, and director of research at the Arizona School of Dentistry and Oral Health, where she also teaches part-time in the Special Care Clinic. In addition, Ann is an independent educational and research consultant, and practises dental hygiene part-time, specializing in geriatrics. She was appointed to the editorial board in February 2016. Jeanie Suvan, PhD, RDH, is clinical research coordinator and academic tutor in the periodontal unit at the Eastman Dental Institute, University College London, England. She holds a diploma in dental hygiene from the University of Alberta, a master’s degree in evidence-based health care from Oxford University, and a doctorate in clinical dentistry, examining the association between obesity and periodontitis, from University College London. She was appointed to the editorial board in February 2016. Sylvia Todescan, DDS, DipPerio, PhD, was appointed to the editorial board in February 2016. She holds a DDS from the Federal University of Bahia, Brazil, as well as a certificate, MSc, and PhD in periodontology from the University of Sao Paulo, Brazil. 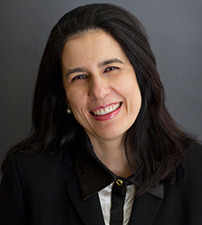 Sylvia is currently associate professor in the Division of Periodontics, Department of Dental Diagnostic and Surgical Sciences, University of Manitoba, and serves as periodontics predoctoral director. Sylvia’s research interests include diabetes type II and risk factors for periodontal disease. Karen B Williams, PhD, RDH, is an Olson Professor and immediate past chair of the Department of Biomedical and Health Informatics, University of Missouri-Kansas City School of Medicine. She was previously the director of the clinical research center at the University of Missouri-Kansas City School of Dentistry for 11 years. A research methodologist, she has been involved in research design and statistics for more than 25 years. She has served as the methodologist, psychometrician, and statistician for several randomized clinical trials funded by the National Institutes of Health, and has mentored numerous master’s students, doctoral candidates, and faculty in her 31 years of practice. 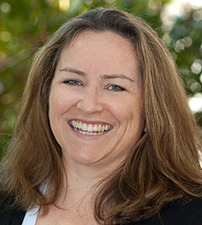 Karen joined the editorial board in February 2016.